As you wander from one plant location to another, you may wonder which plants are native and which are not native and how to tell which is which. The simplest way is by comparing the plant stakes labels which contain the botanical name and habitat conditions for each plant. 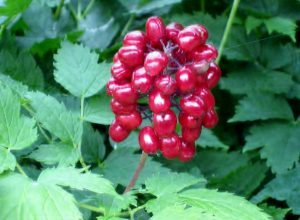 The botanical name of a native plant is always going to be the genus name (which is always capitalized) and the species name. 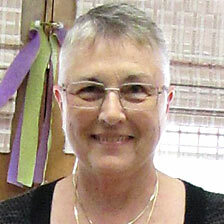 If it’s a cultivar, the variety will follow the species name. For example, Symphyotrichum Novae-angliae is the botanical name for the native New England Aster. If you add “Honeysong Pink” to the botanical name, it refers to the non-native pink cultivar Aster Honeysong Pink. 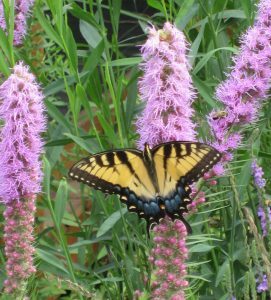 The next thing you might ask yourself is what native plants could I use in place of non-native plants to get the same effect. Here are a few examples. In place of early-blooming tulips (Tulipa spp), daffodils(Amaryllidaceae spp), Bergenia (Saxifragaceae bergenia) and Common Bleeding Heart (Lamprocapnos spectabilis), use Blue-eyed Grass (Sisyrinchium angustifolium), Squirrel Corn (Dicentra canadensis), Wild Geranium (Geranium maculatum), Bloodroot (Sanguinaria canadensis), Heartleaf Foamflower (Tiarella cordifolia), Cutleaf Toothwort (Cardamine concatenata), Shooting Star (Dodecatheon media), White Trillium (Trillium grandiflorum) and Virginia Bluebells (Mertensia virginica). 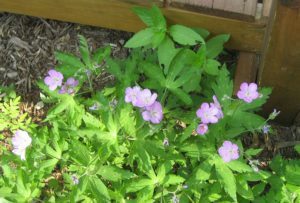 In place of early sun-loving perennials such as Bugloss (Brunnera macrophylla), use Prairie Smoke (Geum triflorum), Prairie Phlox (Phlox pilosa) and Foxglove Penstemon (Penstemon digitalis). 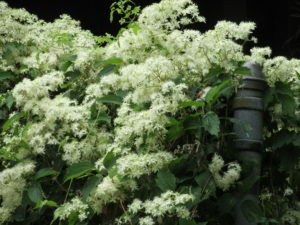 In place of non-native vines such as Chinese bittersweet (Celastrus orbiculatus) and English Ivy (Hedera helix), use Virgin’s Bower (Clematis virginiana), Virginia Creeper (Parthenocissus quinquefolia) and American Bittersweet (Celastrus scandens). In place of summer blooming sun-loving perennials such as Ditchlily (Hemerocallis fulva), veronica (Veronica filiformis), salvia (Salvia officinialis), Shasta Daisy (Leucanthemum superbum) and Dame’s Rocket (Hesperis matronalis), use Purple Coneflower (Echinacea purpurea), Yellow Coneflower (Echinacea paradoxa), Black-eyed Susan (Rudbeckia hirta), Butterflyweed (Asclepias tuberosa), Prairie Phlox (Phlox pilosa), Beebalm (Monarda didyma) and Swamp Milkweed (Asclepias incarnata). 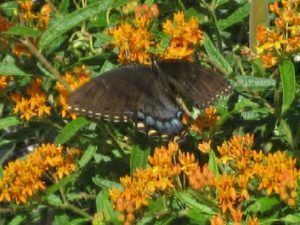 Also give Wild Indigo (Baptisia leucantha) or Sweet Black-eyed Susan (Rudbeckia subtomentosa) a try in place of non-native astilbe (Astilbe spp). In place of summer shade-loving plants such as hosta (Hostas spp), ligularia (Ligularia spp) and camipanula (Campanula spp), use White (Actaea pachypoda) and Red Banberry (Actaea rubra), Solomon’s Seal (Polygonatum biflorum), Woodland Phlox (Phlox divaricate) and Early Meadowrue (Thalictrum dioicum) and a variety of native ferns such as Christmas Fern (Polystichum acrostichoides) or Lady Fern (Athyrium filix-femina). In place of late summer blooming sun-loving perennials such as Yarrow (Achillea millefolium), dianthus (Dianthus caryophyllus), Blanket Flower (Gaillardia pulchella), Russian Sage (Perovskia atriplicifolia), scabiosa (Scabiosa spp), chrysanthemum (Chrysanthemum spp) and the multitude of non-native aster (Symphyotrichum spp), use Joe-Pye Weed (Eupatorium purpureum), New England Aster (Symphyotrichum novae-angliae), Calico Aster (Symphyotrichum lateriflorum), Sky Blue Aster (Symphyotrichum oolentangiensis), Prairie Blazingstar (Liatris pycnostachya) and Wild Quinine (Parthenium integrifolium). In place of non-native Maiden Grass (Miscanthus spp) and Fountain Grass (Pennisetum spp), use Little bluestem (Schizachyrium scoparium), Side Oats Grama (Bouteloua curtipendula), Prairie Dropseed (Sporobolus heterolepsis), Switchgrass (Panicum virgatum) and Tussock Sedge (Carex stricta). In place of non-native trees and shrubs such as Amur Maple (Acer ginnala), Norway Maple (Acer platanoides), Autumn Olive (Elaeagnus umbellata), Bradford Pear (Pyrus calleryana ‘Brad’), Barberry (Berberis spp), Burning Bush (Euonymus alatus) and Butterfly Bush (Buddleia davidii), use Red Maple (Acer rubrum), Sugar Maple (Acer saccharum), Hackberry (Celtis occidentalis), Chokecherry (Prunus virginiana), Serviceberry (Amelanchier arborea), Winterbery (Ilex verticillata), Witch Hazel (Mamamelis vernalis), Pagoda Dogwood (Cornus alternifolia), Elderberry (Sambucus nigra) and Golden Currant (Ribes odoratum). Indian blanket grows wild around here. It’s not native? I’ve always been told that salvia is native. I know my big red sage is native. 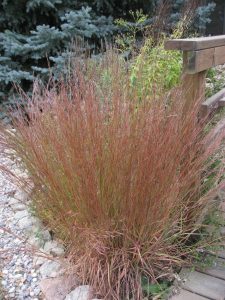 I’d love to use little bluestem. Any idea where to buy it? Native range in the US and where it is found may not be the same. Nice info Donna. Can I recommend as a ground cover Packera aurea? The leaves make a nice evergreen ground cover and lovely flowers in spring. Normally found in moist forests – but I’ve got it growing well in an open sandy soil area with mulch. Grows across WI. I was reading about a landowner in Illinois using it to combat garlic mustard, so it can be aggressive. What a darling plant. Especially so if it competes with Garlic Mustard. I’ll have to do some more research on Golden Grounsel (Packera aurea).